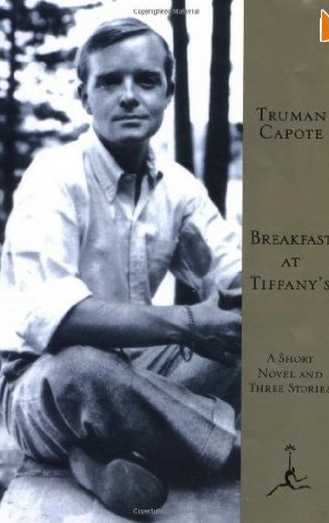 One of the dust jacket blurbs on the Modern Library hardback version came from Norman Mailer who said he wouldn’t change two words of Capote’s novel. Meaning, obviously, the story is near perfect in every sense. It was no exaggeration. The purity of the writing is like “The Great Gatsby,” a novel in which every word and every sentence rings true and exudes a smart sort of elegance. Old Norman also said “Breakfast” was destined to become a classic, and maybe it has, though the film version tends to come first to people’s minds. If the novel hasn’t been studied enough, it must be because the same sort of stuffy academic moralists who won’t give Holden Caulfield his due won’t give it to Holly Golightly either. What are the characteristics of this book otherwise? It’s fresh and feels contemporary. It’s a story of identity, ego, finding one’s niche, and the close relationship between noble aspirations and being a con. Character study par excellence. Both funny and sad in parts. Spot-on descriptions and engaging dialog, and an alluring voice from a sensible and credible narrator. Structurally, we are placed within the walls of Joe Bell’s bar and as readers we can stay right there and have a martini and learn the whole scoop. The revelations will come to us fast and furious, packed into a brilliant series of packages, all smartly wrapped in thematic weight and expository brevity. It’s still modern and still hip. I had forgotten what a stylish and resonant story it is. I think it’s an important part of 20th century American fiction. I don’t think the picture’s complete without having read it. Posted in booknotes on November 27, 2012 by Wm P.